Another Monday means another flashback to my youth. This week I will be sharing some pictures of me working hard on the farm. 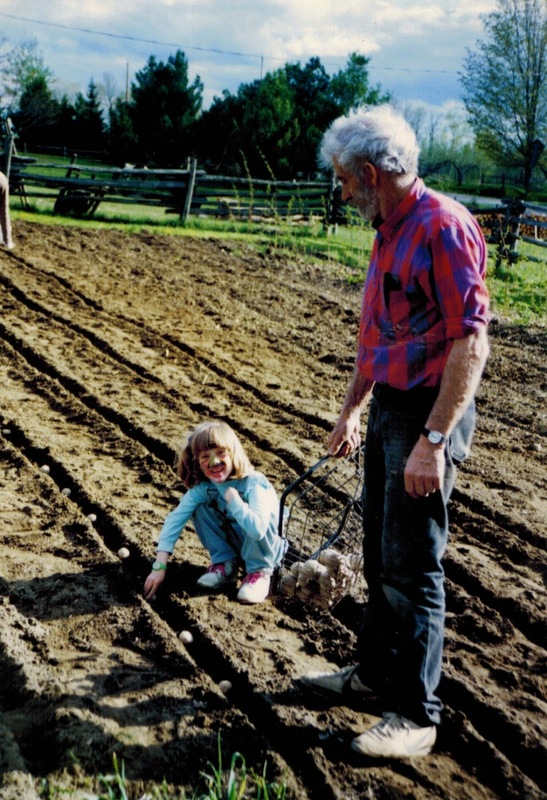 I grew up on a farm and we learned to help at a very young age. While I was the youngest of five and did get out of doing a lot of chores, I did still manage to learn some good habits. One thing we were taught by both my parents was how to work hard. 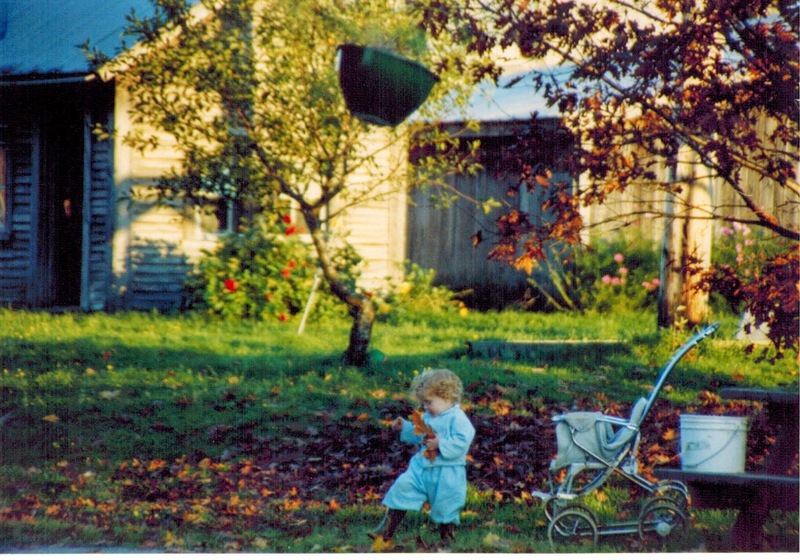 When we were little the helping was turned into a bit of game but as we got older, we needed a little more incentive. We earned a weekly allowance if we did our chores throughout the week and sometimes we even got paid for a specific job, like picking potato bugs off the plants. 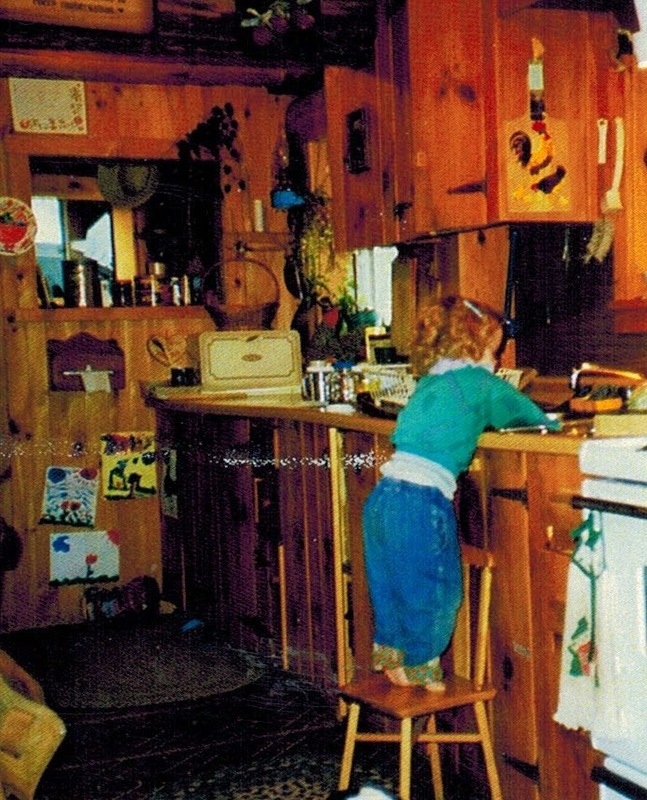 For as long as I can remember, there was always some sort of dishes schedule and we all took turns. I can't remember a time that I didn't help with the dishes. As you can see in from the above picture, we learned young. 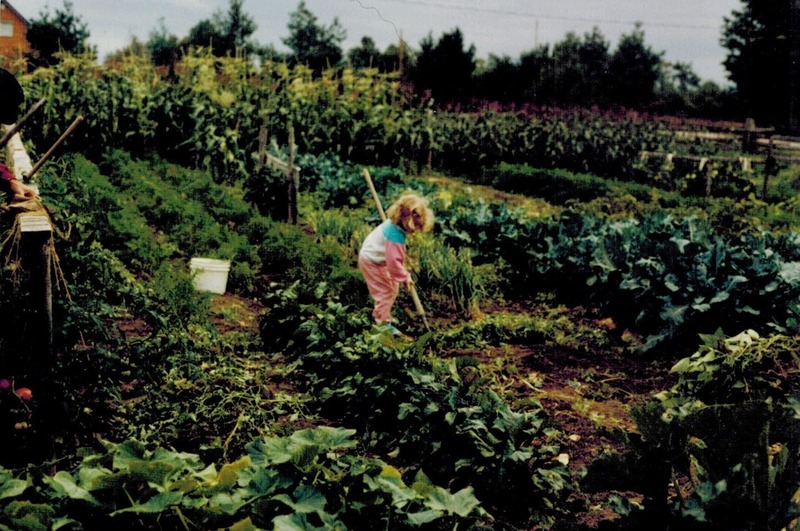 We always had a huge garden full of fabulous produce that we enjoyed all summer (and winter) long. The only downfall to the huge garden was the huge amount of work. I have many memories of making production lines when harvesting different vegetables. It was always made a group effort and we learned that many hands make light work. 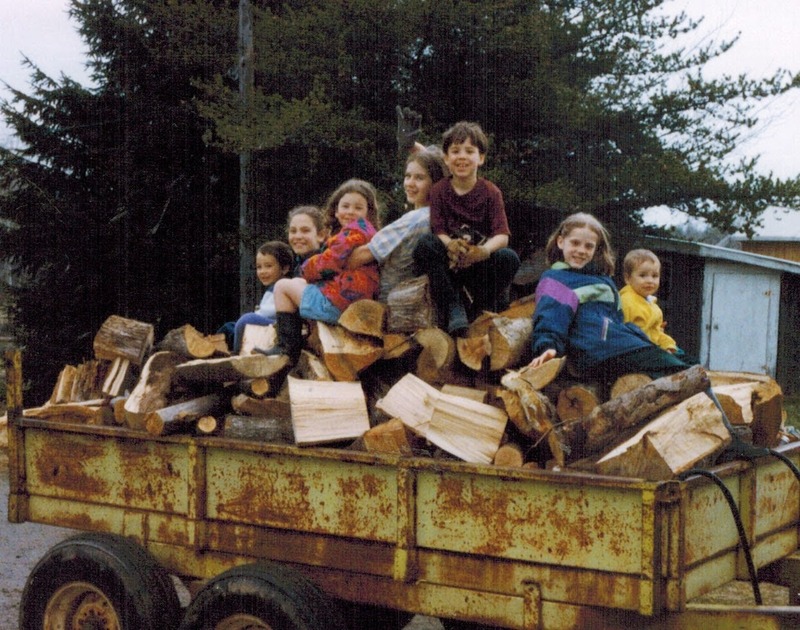 We would have wood parties where friends would come over and we would all help bring loads of wood from the wood pile to the basement. The house was heated completely by wood so it was a never ending job. Another important summer job was haying. We had a small head of cattle that needed to be fed all winter long so during the hot days of summer, we would hay. Once again, we all helped in some way and often involved friends. 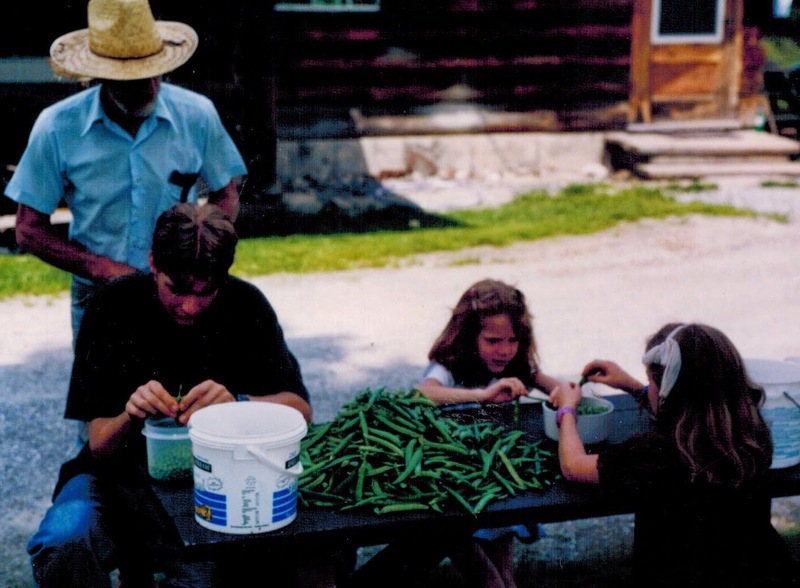 I learned many many things growing up how I did and many of my life skills were taught to me by my parents and older siblings. I learned hard work and responsibility and have taken both of those into my life. 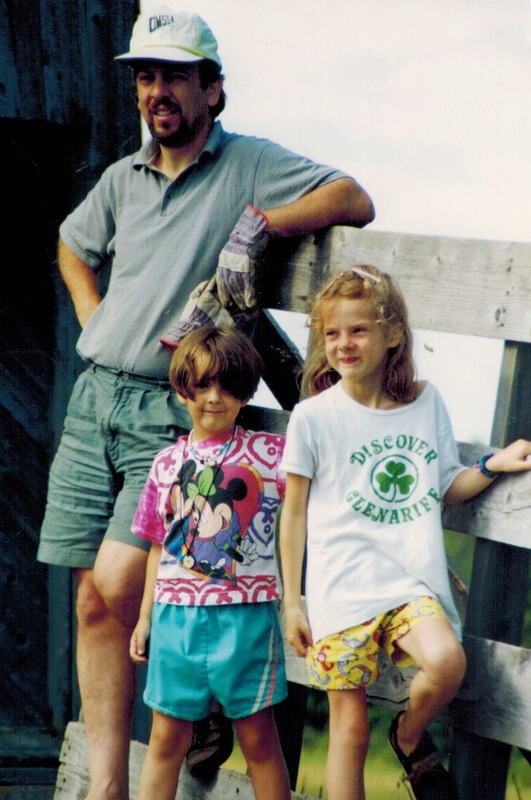 I am lucky to have grown up how I did and I look back on my childhood with many fond memories. Kristy - Many good memories were made back then.